To mark a period of transformation in China, Xi Jinping has been drawing on elements of the Maoist legacy, not only in the political arena but also in academia. In 2014, New Philosophy of the Masses was published, an updated and expanded version of Ai Siqi’s Philosophy of the Masses. In May 2016, Xi Jinping (2016) delivered his “Talk at the Forum Discussing the Work in Philosophy and Social Sciences,” a title which is reminiscent of Mao Zedong’s (1980) “Talks at the Yan’an Forum on Literature and Art” of 1942. Drawing on the background of China’s 1950s academic philosophy, a comparison will be drawn to Xi Jinping’s effect on China’s academic landscape. 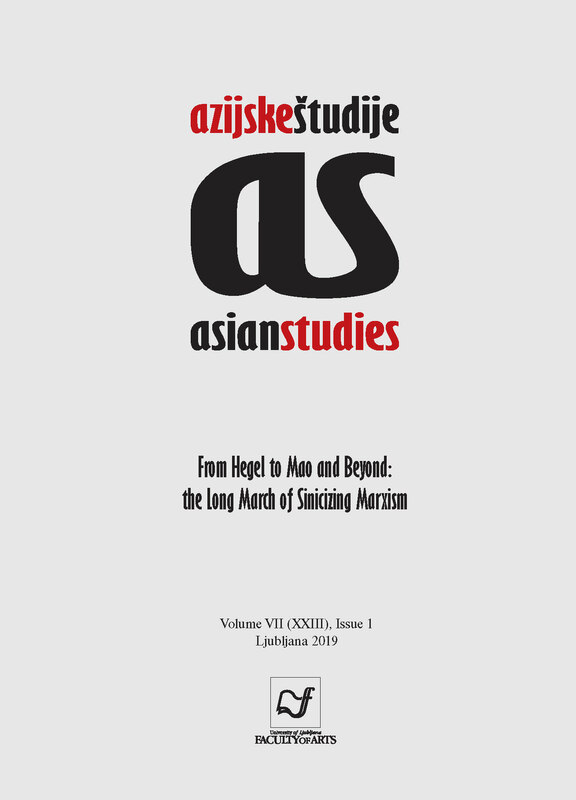 Authors are confirming that they are the authors of the submitting article, which will be published (print and online) in journal Asian Studies by Znanstvena založba Filozofske fakultete Univerze v Ljubljani (University of Ljubljana, Faculty of Arts, Aškerčeva 2, 1000 Ljubljana, Slovenia). Author’s name will be evident in the article in journal. All decisions regarding layout and distribution of the work are in hands of the publisher.